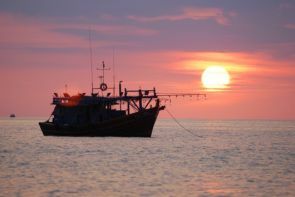 The Food and Agricultural Organization of the United Nations and the Vatican have joined forces to call for an intensified international push to stamp out human rights abuses in the world's fishing industry. The abuses include trafficking of people and forced labor and they are also calling for an end to the scourge of illegal fishing. Vatican Secretary of State, Cardinal Pietro Parolin, speaking Nov. 21 at an event co-organized by FAO and the Vatican to mark World Fisheries Day, he said that action is needed on three broad fronts. These are: providing aid to exploited fishermen to facilitate their reintegration; ensuring that compliance with existing international rules on fishing; and fighting against trafficking and smuggling to impose the rule of law and human rights standards. "Only by working together, and coordinating our efforts, will we be able to break the chain of exploitation that affects the fishing industry in many countries," he said. Parolin presented a message of the Holy See condemning "the tragic reality that within the fishing industry there are hundreds of thousands of internal and transnational migrants who are trafficked for forced labor." The U.N. agency's director-general José Graziano da Silva, said that although fishing provides food and income for millions of people, "sadly, the same industry that offers so many opportunities also victimizes the most vulnerable." "We have seen increasing media attention focusing on human abuses in the sector, in both developed and developing countries. "These include instances of labor abuse, forced labor, trafficking, child labor and slavery," Graziano da Silva noted. 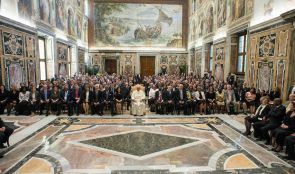 (Photo: FAO)Pope Francis with FAO conference delegates during his June 11, 2015 audience. "FAO and the Holy See are calling for collaboration between all partners to work together in order to end human rights abuses along the entire fisheries value chain," he said. "We have to guarantee that the seafood reaching our plates has been produced not only in an environmentally sustainable manner; but also in a manner that supports the socio-economic well-being of those who harvest and process it," he said. Gianni Rosas, director of the ILO Office for Italy and San Marino, likened the situation of abused fisheries workers to "modern-day slavery." However, he also welcomed recent positive developments. Both FAO and the Vatican hailed the news that enough countries have now ratified Convention 188 on to trigger its entry-into-force in November 2017. The convention is designed to ensure that fishing sector workers benefit from safety and health care, written work agreements, and social security protections. FAO and the Vatican also urged countries and the fisheries industry to make use of another newly active tool, the FAO Port State Measures Agreement. This aims to put a final end to the problem of illegal, underreported and under reported fishing, which robs an estimated 11-26 million tons of fish from the oceans each year. Vessels involved in illegal fishing are frequently the same ones where human rights abuses run rampant. 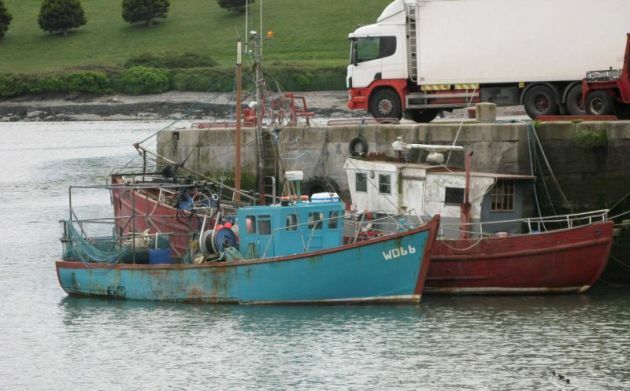 The PSMA is the first-ever binding international treaty targeting IUU — will catalyze an uptick in port inspections of fishing vessels, allowing for better controls to ensure that the human rights of crews are not being violated. Both ILO Convention 188 and the PSMA are combined with increased international awareness on labor and social issues. They provide FAO, ILO and partners in industry, labor and fisherfolk communities and consumers associations with a new momentum to end instances of labor abuses in the entire value-chain. Victims have described enduring a raft of ills while working on-board vessels in remote locations for months or even years at a time. These include forced labor and debt servitude, beatings and psychological abuse, inadequate food, and unsanitary living conditions. Hours are long and hard and workers are sometimes supplied with amphetamines to keep up. It is common that workers are lured into these situations via deceptive or coercive recruitment processes. Once on-board, they can remain trapped for months, or even years. Generally, relatively few fishers are members of trade unions, written contracts are scarce, and protection of labor rights is weak. Where regulations do exist, enforcement is poor. Indeed, effective monitoring is not easy. Ocean spaces are vast, and ships are constantly moving from one country to another or operating in high seas areas not under any national jurisdiction.